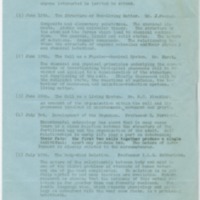 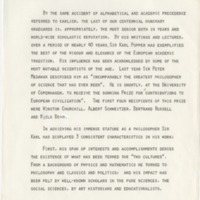 W. David McIntyre, "Honorary degree citation for Karl Popper"
The original manuscript of David McIntyre's honorary degree citation for Popper, delivered at the University of Canterbury in 1973. 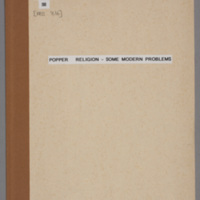 The manuscript of Popper's lectures, titled "Moral Man and Immoral Society II"and "Science and Religion". 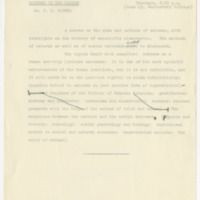 Photocopy of mimeograph. 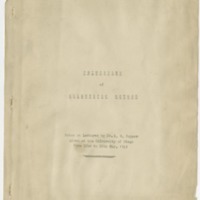 J.C. Eccles, "Principles of scientific method: notes on Lectures by Dr. K.R. 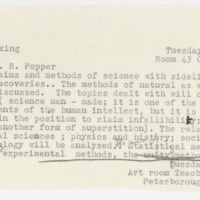 Popper given at the University of Otago from 22nd to 26th May, 1945"
Notes by John Eccles on Popper's lectures given at the University of Otago from 22 to 26 May 1945.